Is there a better alternative to No Menu? Is No Menu really the best app in Contextual Menus category? Will No Menu work good on macOS 10.13.4? 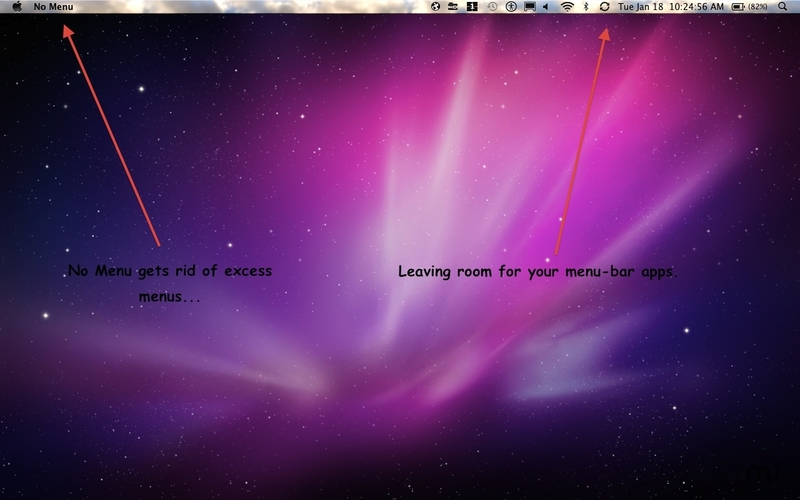 No Menu is a innovative new way to free up space in your menu bar so you can enjoy your menu-bar applications. To do this it removes all of the extra menu items when the app is selected. This frees up space for your menu bar apps like Translator Free, or Twitter for Mac. It uses the latest technologies, and is 64-bit. That means that you can use this app for many years to come. And best of all, it is only $0.99! No Menu needs a rating. Be the first to rate this app and get the discussion started!